That includes modernizing treatment plants and pipes. One such investment is in the Silicon Valley Advanced Water Purification Center, which the city of San Jose operates as a joint venture with the Santa Clara Valley Water District. The center helps shorten water supply lines by recycling wastewater that otherwise would have been dumped out into San Francisco Bay. The purification center uses a combination of microfiltration, reverse osmosis and ultraviolet light to remove impurities and render wastewater safe to drink and use. On top of directly using potable recycled water, we’re also putting that water to use via “indirect potable recharge” (IPR). IPR injects recycled water directly underground for later extraction. It’s a cost-effective way to build up groundwater reserves. 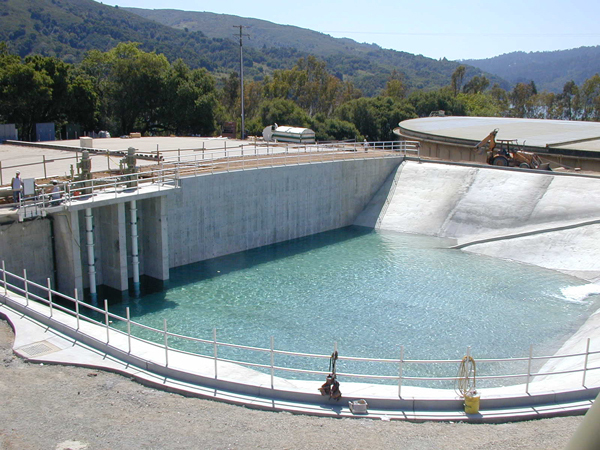 San Jose Water has invested more than $62 million to upgrade its Montevina Water Treatment Facility to meet modern water quality guidelines and increase the amount of water its able to capture and process through that facility. We’re fortunate to have a well-tended Santa Cruz Mountain watershed and we want to be sure we can deliver as much of that high quality water as possible to help reduce pressure on wholesale water usage. At the same time, we’re embracing new standards for our pipes to help them last longer, slowing the corrosion that can endanger water quality. Zinc coating helps pipes stand up even while constantly exposed to soil. The zinc helps prevent corrosion in the first place, and charged zinc ions are naturally attracted to scratched areas of zinc, so even when corrosion does begin, negative effects will take longer to materialize. In addition to zinc, our new pipes use an enhanced synthetic wrap, called V-bio®, which inhibits the growth of the kinds of bacteria that can damage the pipe. To keep up to date on our ongoing efforts to strengthen our infrastructure to help ensure that clean, high-quality water gets to your tap, follow us on Twitter @sjwaterco or like us on Facebook.